The title of this article shows the sad state of many churches today…I want to vomit when I see articles like this. When a congregation is walking with the Lord and the Holy Spirit is moving in peoples hearts and transforming them to be more like Christ, you do not need to ever preach on giving or come up with gimmicks and ideas to increase peoples giving. They will give because they are moved by the spirit to give. 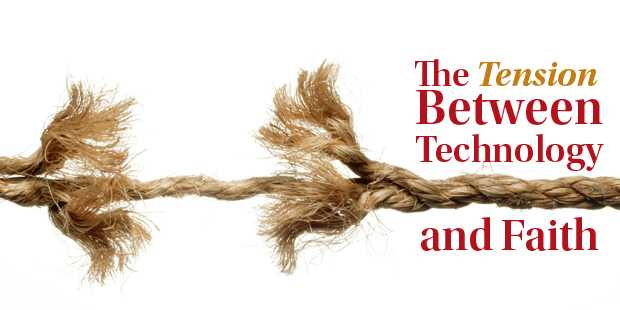 Yes, the tension between technology and faith is very real. 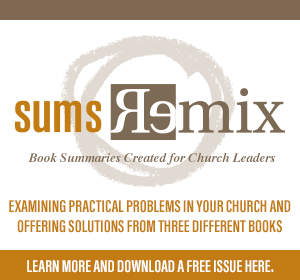 We wanted to dig more into the connection between faith, relevance, and technology and so we put together a short three-question study. We then administered this study to some of the 2,500 attendees of at the recent Nazarene M15 Conference. > Question 1: On a scale of 1-5, how relevant do you feel your church is to your local community? > Question 2: On a scale of 1-5, how big of a role do you feel technology plays in staying relevant? When we asked specifically about the role of technology, 78% of church leaders believe it plays a crucial or very important role in staying relevant. > Question 3: What holds you back from being more relevant and effective in your local community: time, money, technology, or people catching the vision? For this final question, we wanted to force church leaders to choose one of four potential lacks: time, money, technology, or people catching the vision. We know that this is a bit of an impossible question, since they all play a part, and many pastors wanted to select all of the above. However, when forced to choose one, 67% of church leaders chose people catching the vision. And an underwhelming 5% chose technology as their primary lack. While technology will never replace the importance of catching the vision, it plays a crucial role in helping churches stay relevant. What’s been really cool for us [Pushpay] is to see churches who partner with us, and after going live, see the amount of new givers increase by as much as 33%. That’s huge! Now, were these people not obedient before, or was their heart not in the right place, or were they spiritually lacking? I’m not sure how to answer that, but I do know that they are giving faithfully now and the church as a whole is benefitting. How do we preserve the balance? 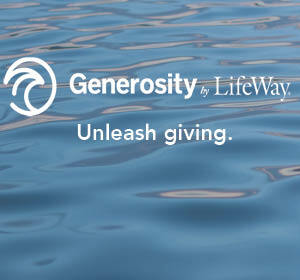 When we talk to churches about giving technology, we use the phrase, “Unlocking Generosity.” This refers back to a statistic we collected several months ago on Facebook: 80% of people want to be more generous than they currently are, but 92% feel held back by a lack of money. The desire to be generous exists; it’s just waiting to be unlocked. I like to use the analogy of working out. We all know we need to do it, most of us want to do it, but the act of signing up for a gym membership and then driving there multiple times a week, it’s something that very few of us do consistently. However, if a gym existed next door to my house and a personal trainer was there waiting for me, working out would become a lot more of a regular habit. For some people, probably 20% of us, they will exercise consistently no matter the circumstances. For the remaining 80%, we may exercise from time to time, but getting that extra boost is what’s needed to develop a healthy and regular routine. We work hard to help churches engage those 80% of non-regular givers, knowing that the technology is just a tool to make the process easier, resulting in an outcome that gets us all excited: a changed heart and healthy habits that help transform us to be more like Christ. > Read more from Derek. My name is Derek Gillette and I am the Communications Manager for eChurchGiving and Pushpay. I like to use analogies and metaphors as a way to tell better stories. If you are a church, ministry, or non-profit leader, contact me to learn how eChurchGiving & Pushpay helps engage with young and first time givers to build lasting relationships.